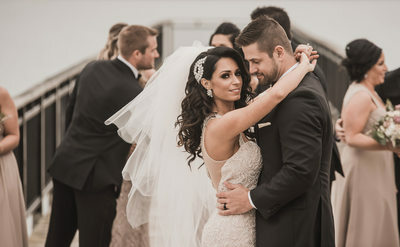 Neal and Danielle Urban are a husband and wife team. When you book with them, you will receive both of them on your wedding day. They both have different shooting styles. 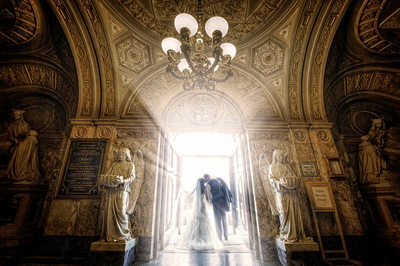 This allows the bride and groom to receive both artistic and simple styles of images. 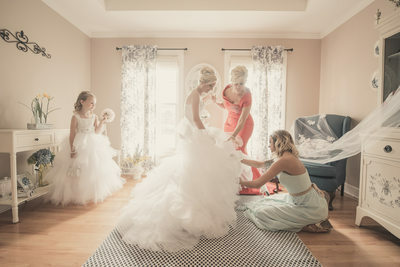 On a typical wedding day, Neal and Danielle Urban will arrive to the bride and groom and photograph them getting ready with their bridesmaids and groomsmen. The groom has it pretty simple, as there are not as many details. They love to get the final touches of the suit or tuxedo going on and moments between the groom and best man. For the bride, they will start with taking photos of all the details. 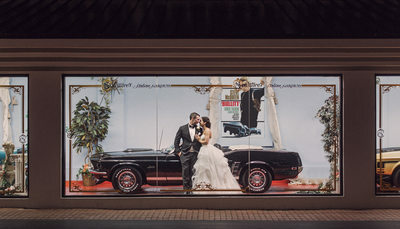 There is the wedding dress, flowers, jewelry, shoes, garters, invitations, save the dates, bridesmaids and flower girl dresses, hair, and makeup. They ask that anything being incorporated for the day is accessible for photos. All wedding ceremonies are different. 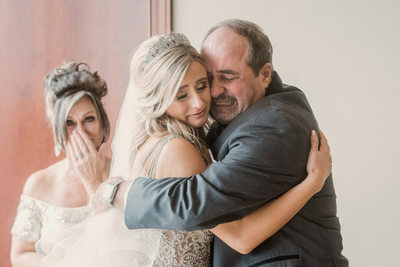 They make sure they know any traditions or special moments that will take place. They will talk with the officiant for any rules or details they should know. Having both Neal and Danielle Urban will give the bride and groom different views of the ceremony. One of them will be photographing the procession straight on, while the other will be with the bride and following her up the aisle for that angle. Neal may move around the ceremony for more artistic images, while Danielle's camera is always focused on the bride and groom. Directly after the ceremony, they like to take the immediate family portraits. These may not be on the website or social media, but are extremely important. They are probably the most important images of the day. 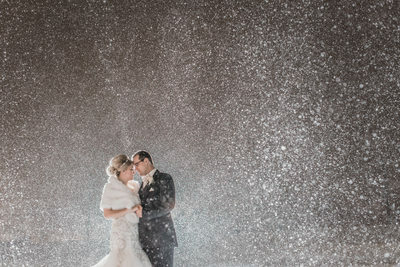 When it comes to the idle, they talk with the bride and groom about style and locations that best suit them. They will ask if there are any locations that are special to them. 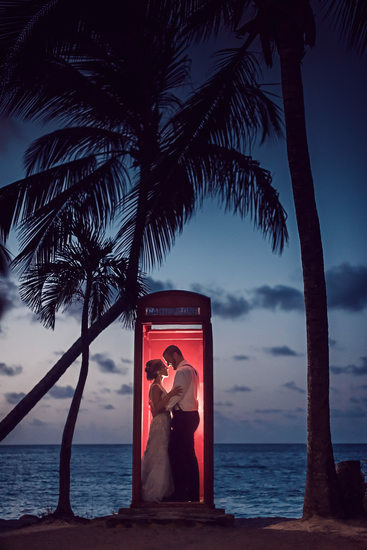 Maybe, where the groom proposed, or just a favorite place. They ask if they like a rustic style, architecture, nature, or urban setting. Once the style is determined, Neal and Danielle can give the clients multiple locations to check out and help decide which is best. At the location for the photo session, Neal and Danielle Urban will begin portraits with the bridal party. Then work with just the bride and her bridesmaids. Then move onto the groom and his groomsmen. They try to get everyone involved and have a good time. 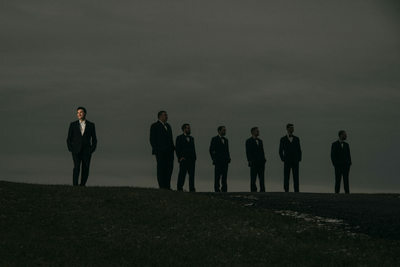 They are constantly thinking of new group poses that will be fun for the whole wedding party. After those groups photos, the bridal party will be sent to the limo, so Neal and Danielle can concentrate on the bride and groom. 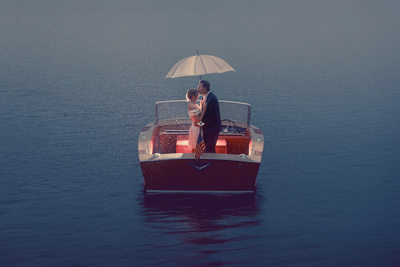 They want to capture intimate moments without a crowd of people watching. 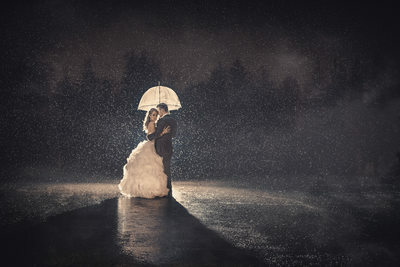 They will put the couple in areas with the best lighting and give a basic pose and starting point. Then let the bride and groom interact with one another. 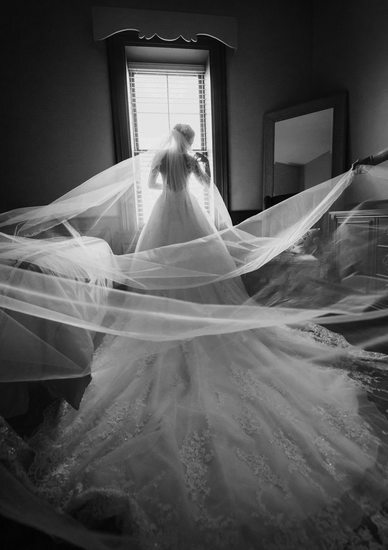 Neal and Danielle will use the wedding dress train or veil for artistic style images. 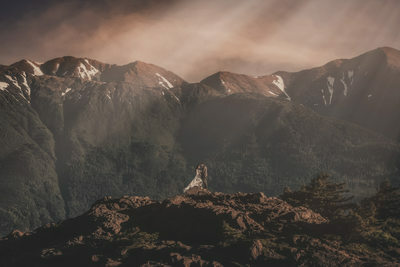 This can add movement and more excitement to the image. 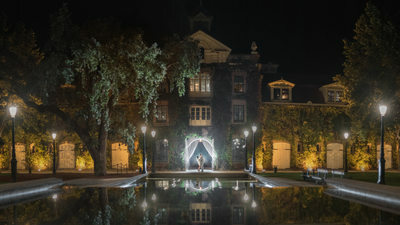 When arriving to the reception venue, Neal and Danielle Urban will begin photos of all the details of the room. They like to arrive before the guests, so they can get everything before people set their personal items down. The bride and groom put a lot of hard work and money into these details. There are signing boards or books, place cards, table numbers, wedding cake or cupcakes, cake toppers, engraved knife sets, champagne flutes, card boxes, memory tables, candy tables, and wedding favors. These are all very important details that need to be photographed. They try to get these done before the cocktail hour begins. Neal and Danielle like to have the bride and groom back for cocktail so they can mingle and welcome their guests as well. 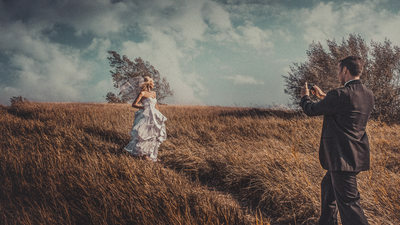 This is always a good time for the bride to bustle her dress! During the reception, there is a lot more to photograph then dancing images. There are wedding party introductions, speeches by the best man and maid (or matron) of honor, speeches by the parents, cake cutting, and first dance. Then the bride and groom dancing with their parents. To open the dance floor, the bride and groom may have a wedding party dance. Neal and Danielle will consult with the DJ, Band, or wedding coordinator to get the list of events for the evening, as they can change up to the last minute. They will even take the wedding rings for an artistic image! Then there is one last photo session to end the wedding night. 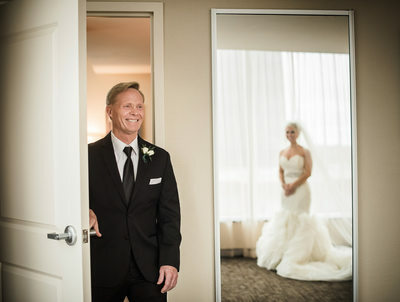 Neal Urban will take a walk around the venue to come up with something fun for the bride and groom. Danielle will stay in the party and continue to document until they are ready for the portrait session. Neal and Danielle test out all of the lighting and posing before the newlyweds are even brought in. They may be away from their party for about five minutes. This is also a good time to say their congratulations and goodbyes, so they are not bothering them again on the dance floor. Neal and Danielle will try their best to have a few sneak peeks ready when the bride and groom return from their honeymoon! Then the bride and groom can come back to the studio to select their album and wall art. These are the final product! 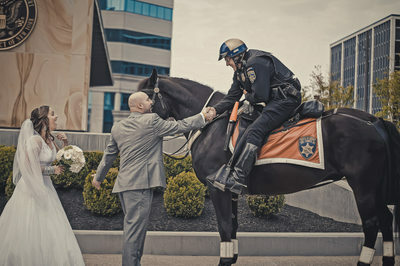 A wedding is an honor and pleasure to photograph. 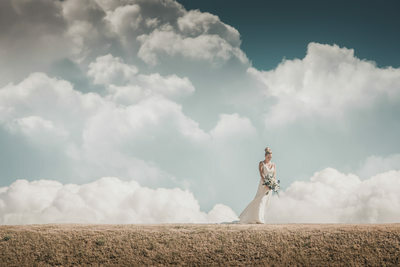 Neal and Danielle Urban want to capture images that last a lifetime for the bride and groom and all of their families.